We had a bowl of ice the other day for some reason. We also had some salt for some reason. Maybe we were making ice cream? 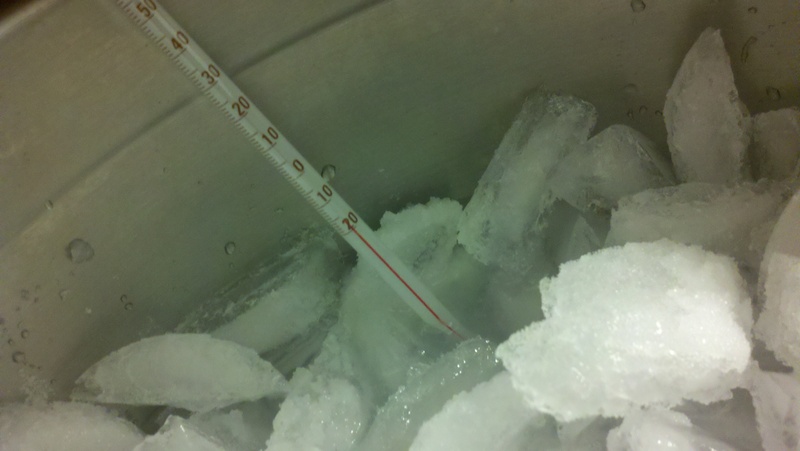 In any event, we thought it would be neat to see how cold it actually is (because it feels really, REALLY cold). 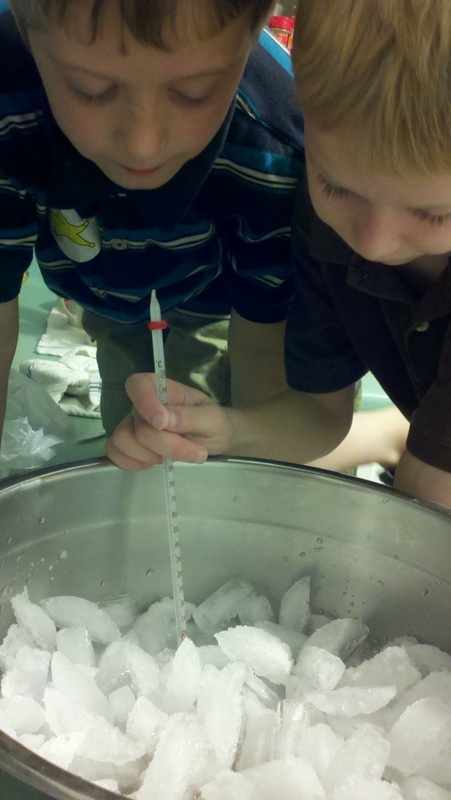 This entry was posted in Fun, Interesting, Science and tagged Cold, Ice, Ice Cream, Melting, Salt, Salt + Ice, Science. Bookmark the permalink. ← 1,000 Sparklers — at once!